A beautiful, handmade ceramic Swan Egg Cup, designed by Hannah Turner. 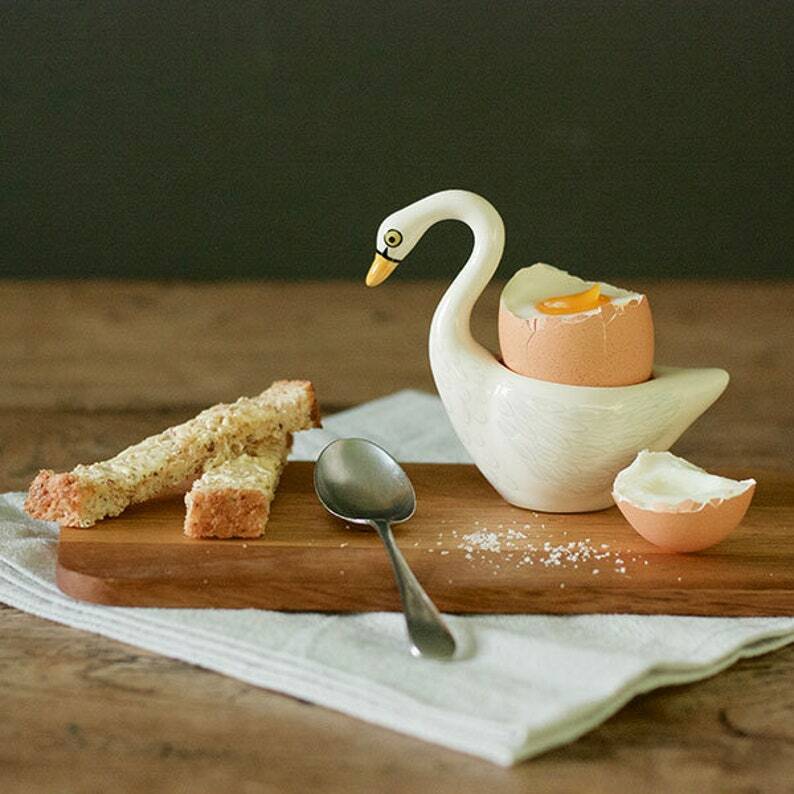 The Swan is just one of Hannah's growing egg cup range. It's both decorative and functional and has all of the charm of Hannah's ornamental birds, with the bonus of being able to hold your morning boiled egg! 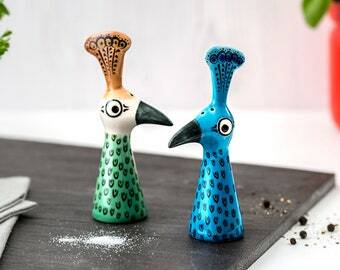 Made from stoneware ceramic with a decal decoration. Handmade ceramic Fish Egg Cup, designed in the UK by Hannah Turner. 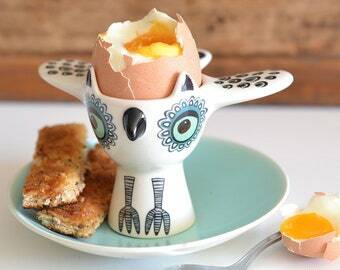 Eat your breakfast soft-boiled egg from one of our fishy characters! Thank you so much. The beautiful swan egg cups arrived safely to Finland. My sister absolutely loves them. Arrived very quickly and looks as described! I am very happy with it!